If you have made a change to your page design, you should create a new Heatmap to start collecting data on your new page layout. 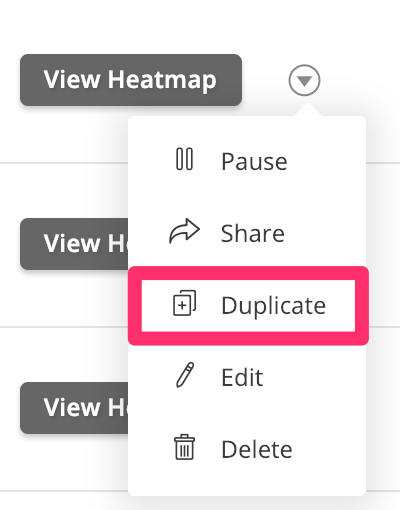 Stop any existing Heatmaps with an old design by selecting Duplicate in order to keep your data for that specific page layout and collect data on your new layout. If a new Heatmap isn't created, the data being collected and shown within the Heatmap will not be reliable. Old click data will still be shown over your new layout, skewing the click data of the new design.